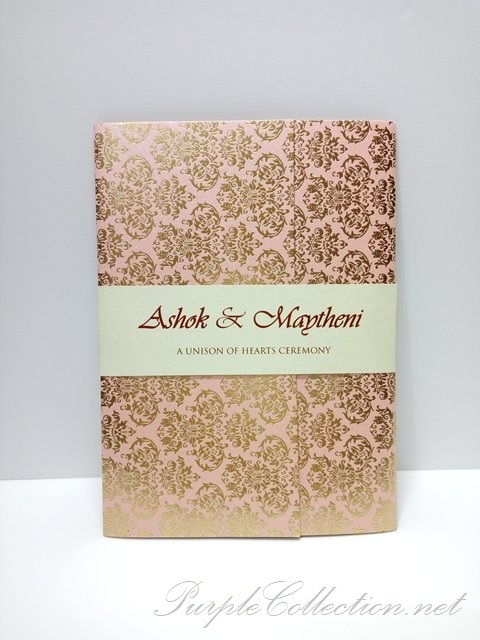 Another custom made card with gold stamping finishing for our client Ashok & Maytheni. 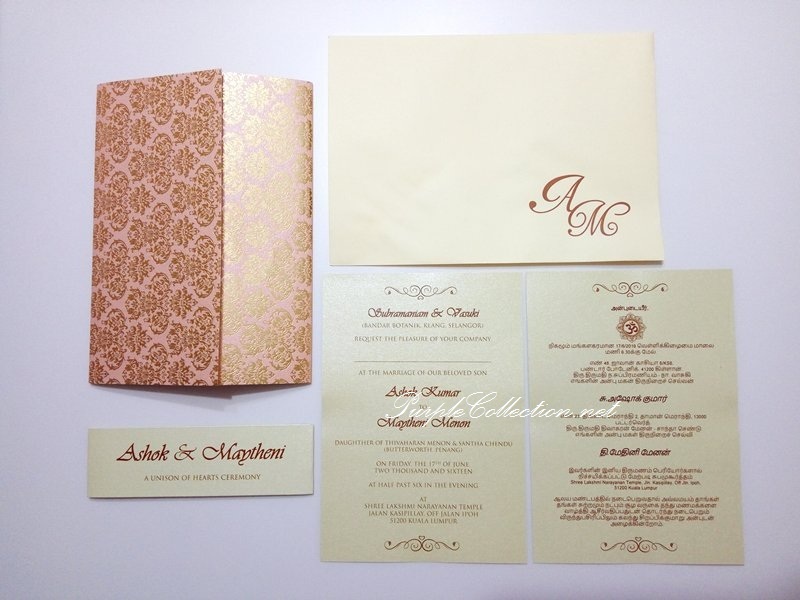 The cover of the card is with gold stamping damask pattern with a metallic strap printed with bride and groom names. In the inner card, it consists of two inserts in English & Map and another insert in Tamil version. 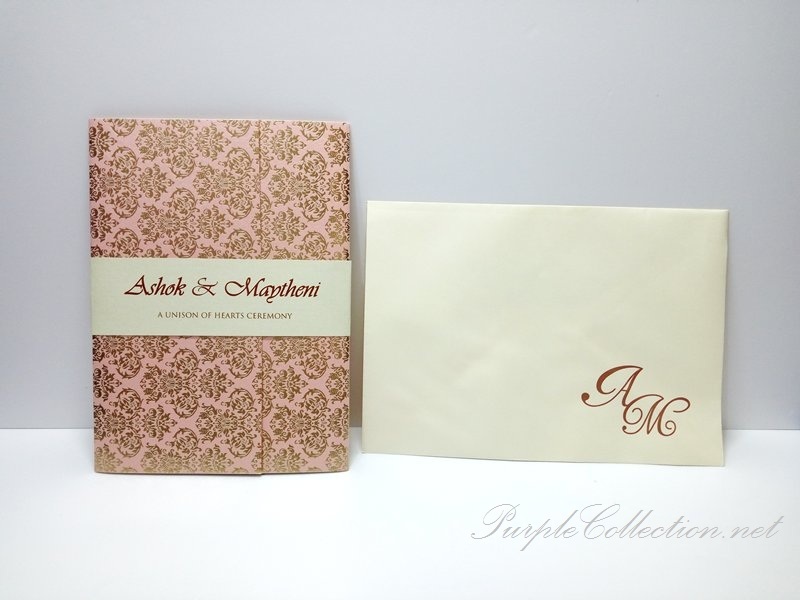 The outer envelope is in plain beige with a personalised monogram printed at the bottom right side of the envelope. 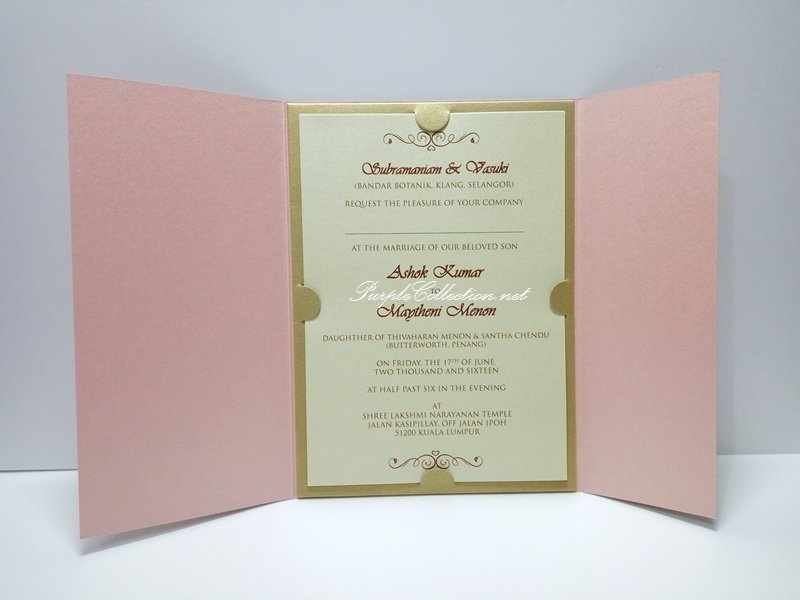 To inquire on wedding invitation cards printing, please email to us for the quotation.